Blog | March 2019 | Mother’s Day Craft Inspiration. It’s nearly Mother’s Day! Why not show your mum just how much she means to you with a Mother’s Day craft that she’ll love. 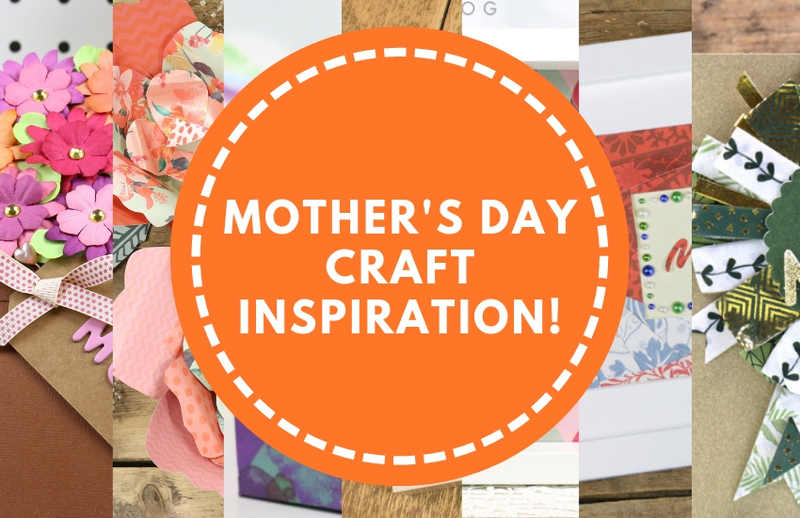 Here are our favourite Mother’s Day crafts from the past that are perfect for the occasion! Flowers make any mum feel warm and fuzzy so why not treat her to this stunning flower pot card? This is super easy to make and comes with a FREE printable template to help you along. Customise this card with your mum’s favourite colours or change up the tag if this isn’t for a mum, but you’re celebrating someone you love! Speaking of flowers, why not use these fabulous giant spring flowers to add a pop of colour to the table if you’re planning a lovely meal for Mother’s Day? Use your mum’s favourite designs and customise the size of the template to suit your needs! Mother’s Day is all about treats so to make your present a special one, we have a free gift box template for you to use! This gift box is a beautiful way to level up your gift wrapping and give your mum a splendid surprise. Naturally we love all things handmade! It adds a special personal touch to a gift that is sure to be loved and you always end up with something completely unique. Out First Edition Craft A Card Mother’s Day project is truly something special to share with your mum on Mother’s Day. The delicate design will really make your mum feel like she is one in a million! What a lovely keepsake for her to display in her home too! Remind your mum that she’s a gem this Mother’s Day with this sparkly monogram frame! This craft will be super easy to make and it will really put the twinkle in her eye when she opens her special gift. Use our free template or create your own to customise your gift! If you’re looking for card inspiration then look no further! This Mother’s Day Rosette Card is super fun and easy to make and all you’ll really need the First Edition Kale Washi Tapes! Gorgeous and green, this tape makes for a perfect rosette that you can give to your #1 Mum! If you’re a bit more of an advanced crafter and really want to make a statement, try Kathy’s Iris Paper Fold Mother’s Day Frame! This tutorial helps you to create a stunning piece of wall are that any mother would treasure! Will you be giving any of these wonderful tutorials a try? We’d LOVE to see if you do, so don’t forget to show us your makes in the Inspiration area, or #Trimcraft on social media as we really do love to see what you create. Sooo many beautiful ideas here for mum. Really amazing and gorgeous.